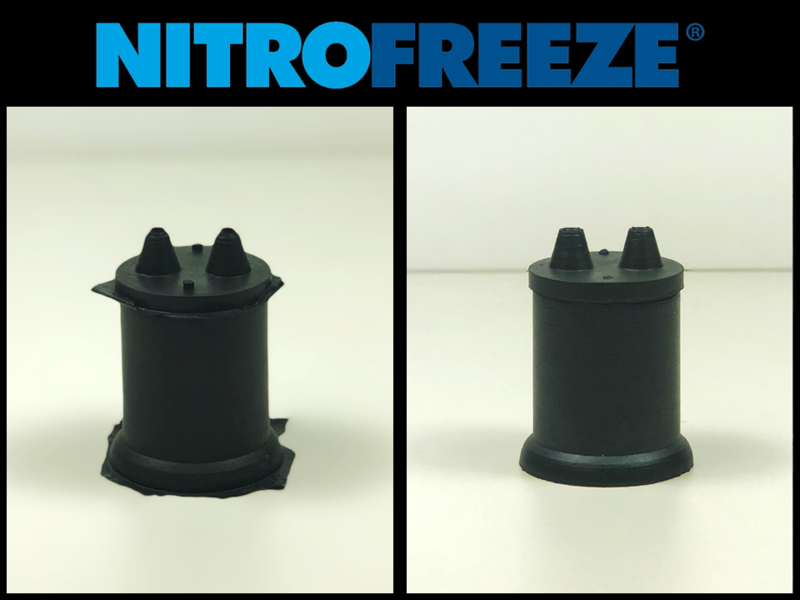 Nitrofreeze was asked to remove flash from 50-durometer EPDM grommets that protect runs of wire. These low-cost rubber products have delicate, cone-shaped features and may be inserted into openings in panels or other surfaces. EPDM is a good choice for grommets because this material resists indoor and outdoor environments, provides electrical insulation, and is extremely resistant to wear. Mold flash is typical, but part defects that can affect performance must be removed. To meet the application’s requirements, Nitrofreeze needed to remove excess material from critical inner diameter (ID) holes to support the smooth feeding of wires. Nitrofreeze also needed to remove outer diameter (OD) flash that could distort the part’s cone-shaped features. 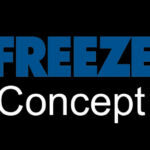 Nitrofreeze used cryogenic deflashing to remove both ID flash and OD flash. First, the rubber grommets were cooled to cryogenic temperature so that the flash became brittle and easy-to-break. The parts were then tumbled and blasted with polycarbonate media. Manual trimming, the customer’s previous process, had been effective for OD flash but unsatisfactory for critical ID holes. Cryogenic deflashing is a computer-controlled process that provides repeatable, reliable results. It’s more economical than manual deflashing and can extend the life of worn molds that would be expensive to replace. With cryogenic deflashing, no job is too large or too small for parts that have been injection molded, extrusion molded, or compression molded. As the image that accompanies this case study shows, Nitrofreeze used cryogenic deflashing to remove unwanted material while protecting the surface finish and critical dimensions. Process development during sampling ensured that deflashing would maintain the part’s cone-shaped features. Cryogenic deflashing is ideal for EDPM rubber but can also be used with plastic and silicone materials. This entry was posted in Uncategorized on October 19, 2018 by Jordan Anderson.